The Diwali line-up for this year is getting ready and its really big. Velayudham has already been confirmed and the audio launch was held last week. Now, its Surya’s turn to wow the industry with the audio launch of 7am Arivu. The movie is already one of the most closely watched ones of the year by both industry sources and fans alike because it marks the return of AR Murugadoss to Tamil after delivering the blockbuster Ghajini with Surya. The film will also see Shruti Haasan’s debut as an actress in Tamil. Things become even more special because the composer is Harris Jayaraj and the memories of the Ghajini score still lingers in our minds. We don’t need more reasons to go high on anticipation. 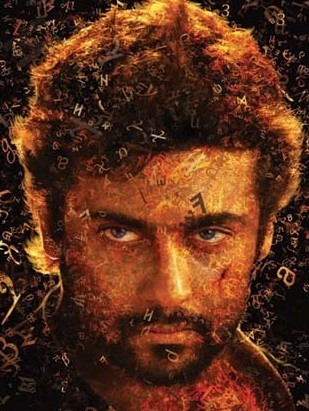 Adding to this, we have received many tidbits about the characters that Surya will be playing in the movie. The stills too have been quite eye-capturing. Now, the breaking news! The audio launch of 7am Arivu has been scheduled to be held at the Chennai Trade Center on the 22nd of September, at 6.00 PM. And, it is going to be a grand ceremony attended by the bigwigs of the Tamil film industry. The producer, Udhayanidhi Stalin, has promised some high voltage performances during the event. Eagerly awaiting September 22!